After what seems like a full week of run up, it's finally time to tee off at the Masters. Michael will be playing with John Senden and John Huh at 10:12 am. Note that the television coverage will be on ESPN instead of the Golf Channel. 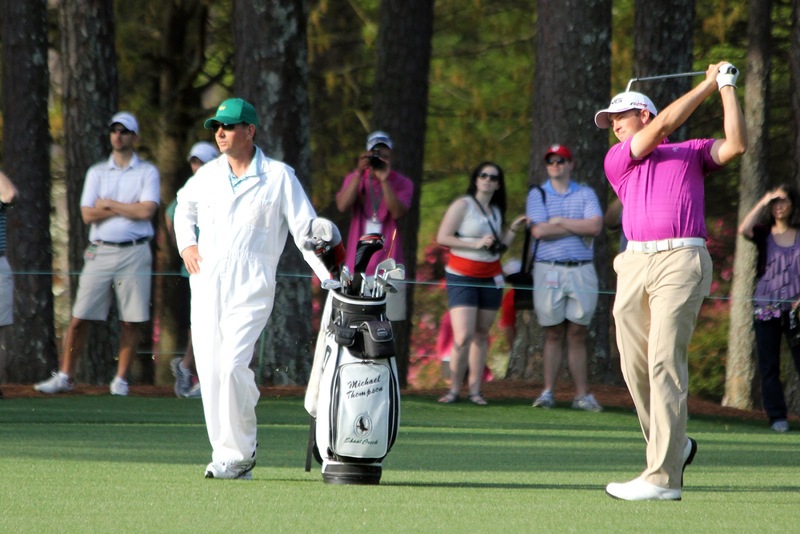 If you haven't seen it yet, Michael's wife Rachel has been blogging daily while at the Masters. You can read them at the links below. 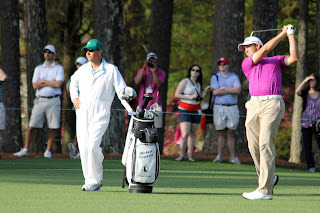 Today's blog talked about what it was like to caddy during the par 3 tournament and included some photos of the action. Also, you may have read about Michael's experiences at the 2008 Masters, where as an amateur he called a penalty on himself. If you'd like to read more about what was said at the time, or even see video of the incident, you can review our "2008 Masters" page by clicking here.